Hollis and Verne Pearcy started Pearcy Ranch in 1962 upon retiring from Honolulu Oil in Sundown, Texas. 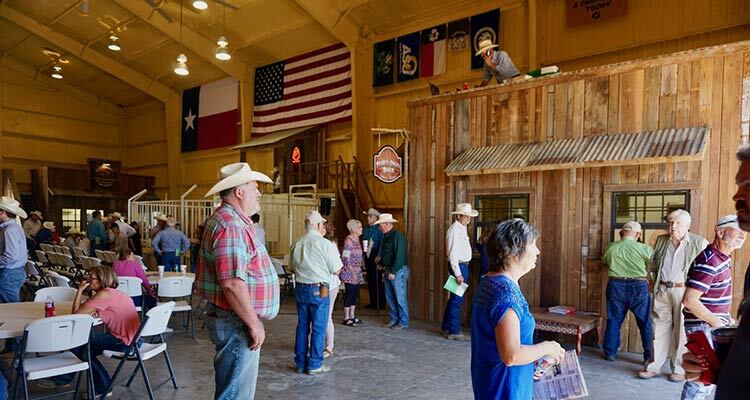 Over the years, their third son, Jan W. Pearcy, and his wife Charlotte (from a registered Hereford ranch/farming family in Burkburnett, Texas), purchased 400 acres adjoining Pearcy Ranch. They joined operations and began raising various breeds of beef cattle. 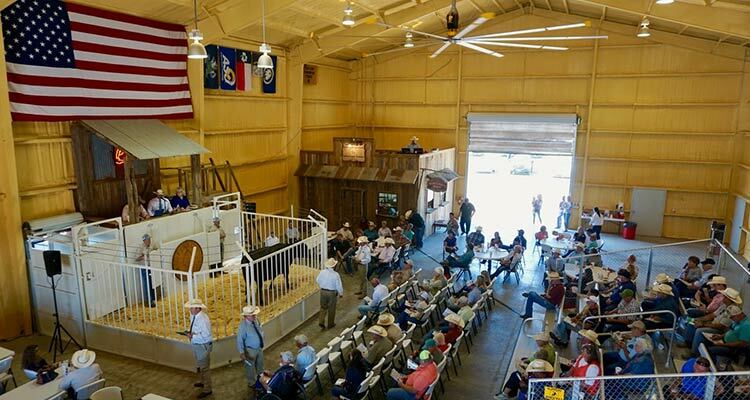 Upon the passing of Hollis and Verne, their grandson Van (Jan and Charlotte’s eldest son) and his wife Donna purchased the land and began acquiring adjacent acreage from other ranching & farming neighbors. The ranch has been converted to WW-B. Dahl Bluestem and Klein grass, along with other native central Texas grasses. There are seven small 20 and 40 acre paddocks used for annual winter and early spring grazing on oats, barley and triticale mixes. Combining the land and keeping the beef cattle business in the family, has been the long-time goal. Over the past several years, PAR has purchased valuable genetics from the likes of 2-Bar Angus, Goode, 44 Farms, Angus of Clear Creek, Cox Ranch, Dean Angus, Double Creek Farms, Friendship Farms, Guy V Cattle, Lone Star Angus, McKeller Angus, Rimrock, Stratford Angus, Wilks Ranch & Texas Angus Association sales …to mention a few. PAR continues enhancing their facilities and techniques to become a recognized name in the development, breeding, and production of structurally correct registered Black Angus cattle known for their high-quality genetic traits and strong $-Beef. 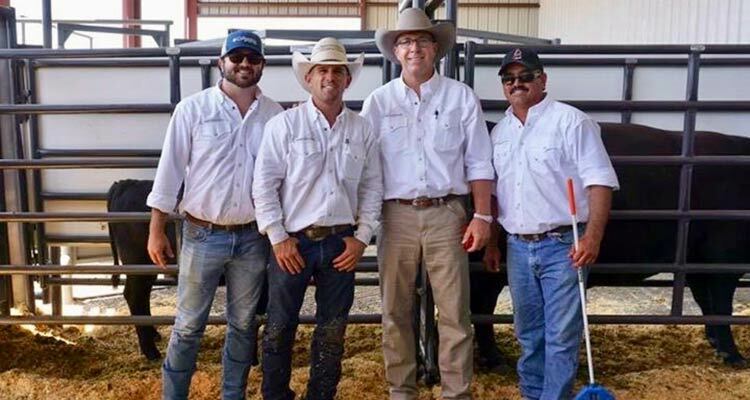 Van is not only passionate about delivering award-winning service to clients, he is just as motivated in developing a team to help build a top quality registered Angus cattle operation in Fairy, Texas. Van was raised in the small West Texas town of Andrews. 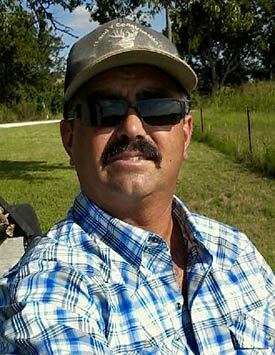 Growing up, he worked summers at both grandparents’ ranches located in Hico and Burkburnett – plowing, baling hay, working cattle, etc. During his high school years, Van became a standout athlete in both football and track, establishing state & national records. Displaying a keen interest in finance and investments, Van pursued a career in business & family financial planning – studying economics at the University of Notre Dame and receiving his M.B.A. degree from Notre Dame. In addition, Van started as an Irish wide receiver, and was co-captain of the Irish track & field team. Van later had a brief stint with the Denver Broncos. In early 2000, Van purchased his grandparents Hamilton County ranch from his uncles – which is across the county road from his parents Arrowhead P Ranch. Van owns and operates one of the nation’s top financial planning and estate/asset protection planning firms, called Van Pearcy’s Wealth Services Team with Raymond James Financial Services, in Midland, Texas – according to Barron’s and the Financial Times articles. Van serves as one of the board of directors on the Texas Angus Association. Jan started working and operating the ranch in 1972 with his mother and father, Hollis & Verne Pearcy. Hollis and Verne first purchased land in Hamilton County in 1962. Jan's early years were filled with miracles that movies are made from. At a young age, Jan was hit by a speeding car, and the Dr.'s gave his family no hope that he would ever walk again. Jan not only walked again, but through extreme determination and dedication he became a record setting Texas high school and collegiate 880 yard runner. He attended East Texas State on a full track scholarship and graduated in the late 50's, and began teaching and coaching out in West Texas in 1960. Jan retired from coaching in the early '90's from Andrews, Texas, and permanently moved to the ranch. 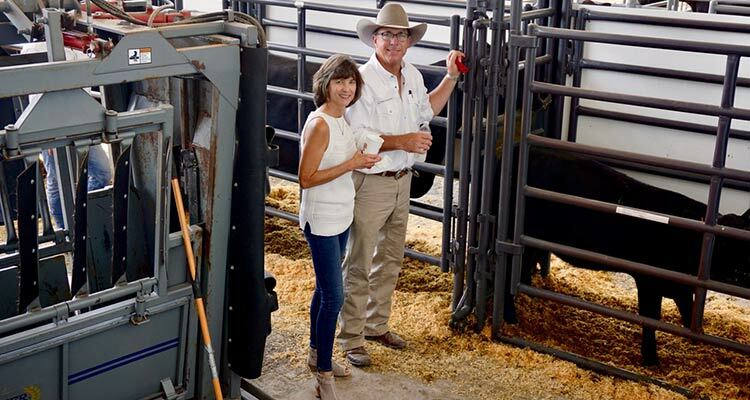 Jan and Charlotte have been fully operating the cattle ranch for over 20+ years. Roger has an admiration for cattle to a degree unseen in most livestock circles. 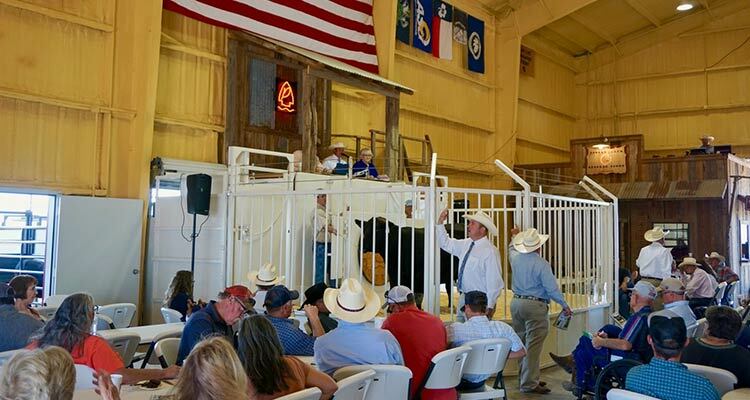 He grew up in Mineral Wells on his family’s registered Simmental cattle ranch from 1974 through 1993. Roger was very active in 4H and FFA showing heifers with his sisters at state and national shows. Roger’s FFA career culminated with him receiving the prestigious American Farmer Degree in 1988. Upon receiving his first driver’s license, Roger attended AI school and took over the family’s AI duties. He later began marketing cattle during his families’ private production sales. 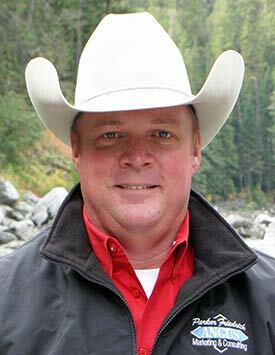 This led Roger to providing marketing services for other cattlemen while still managing the family ranch. Upon a total dispersal of the registered herd, Roger and his father, Dale, started West Breeding Services - providing Donor and Recipient management as well as AI services. 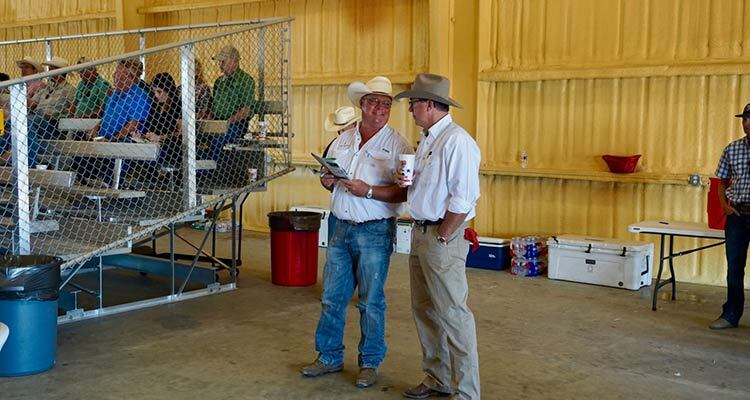 Roger left the family operation in 2000 and began managing other cattle ranches in Texas. This ultimately led to Roger joining forces with Parker Friedrich in 2008. Roger went to work for Parker Friedrich Angus Marketing sales business, a successful partnership that still exists today. 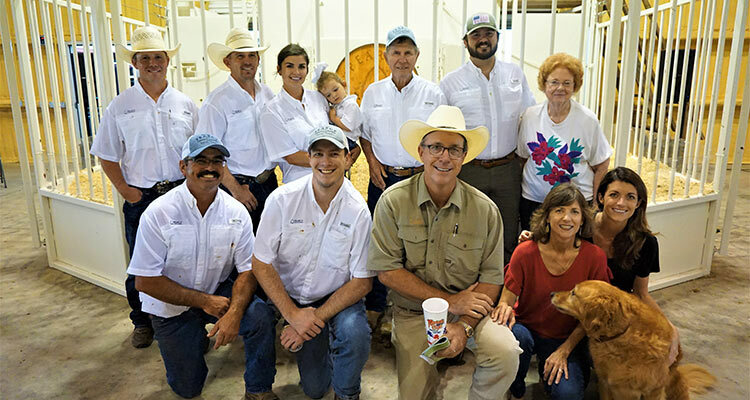 Roger took over the cattle management of Pearcy Angus Ranch in June of 2014. In Roger’s spare time, he consults with a very select group of cattlemen around the country under his company, Roger West Consulting. Roger lives in Stephenville with his wife Sharon and their daughter Allee. Dillon is very dedicated to his craft at being an all-around, dependable cattleman. Dillon resides on the ranch in Fairy, Texas with his wife, Bailey, and daughter, Harper. Dillon was born and raised in Brock, Texas where he played baseball, and was involved in rodeo. Dillon's interest in the cattle industry began at an early age through many years of FFA showing, and working on local ranches. 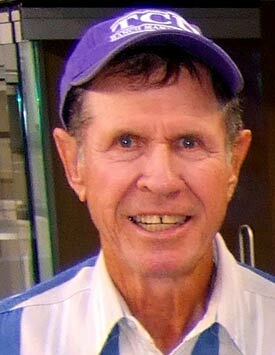 He spent his summers in high school and college working on ranches and at feed yards. Dillon received a rodeo scholarship to Ranger College where he rode broncs and team roped. Dillon graduated from Tarleton with an undergraduate degree in Agronomy and Range Management. After college, Dillon began his career at USDA-NRCS. Dillon now serves as the Ranch Operations Manager and A.I. Technician for PAR starting in 2017. Kas grew up in Glen Rose, TX., and was very active in both 4-H and FFA - showing both pigs and cattle. Kas was a member of several livestock judging teams. 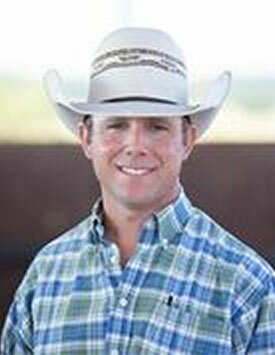 He began riding bulls at age 15, and became a member of the PRCA riding bulls for Weatherford College. Kas received his undergraduate degree in Agricultural Services and Development Extension and Industry in 2009 from Tarleton State University in Stephenville, TX. 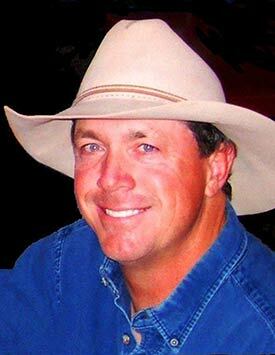 Upon graduation, Kas began his career working for a show cattle operation, Hartley Feeders, and Thigpen Cattle Company. Kas went back to Tarleton State University for his graduate degree. Kas graduated in May 2018 with a graduate degree in Agricultural and Consumer Resources with his teacher certification. 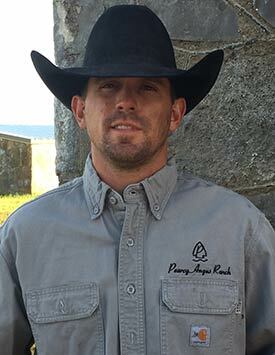 Pearcy Angus Ranch has been fortunate to employ Kas part-time during his graduate work at Tarleton State University, and in June 2018, Pearcy Angus Ranch convinced Kas to come on full-time. Jody is working on the ranch helping to advance the development of Pearcy Angus Ranch working in the farming and cattle husbandry area. He brings a wealth of knowledge in farming to our team from his long-time farm experience and has proven to be a quick study with our cattle. Jody’s hard work ethic and his willingness to learn about the cattle business makes him a tremendous asset for the Pearcy Angus Team. Donna married Van in 1986. However, they started dating in high school in 1979 where Donna was crowned track queen for the Andrews Mustang Relays! 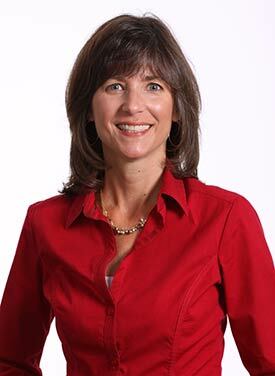 Donna received her teaching degree in bilingual education from Angelo State University in 1983. Donna taught school for a number of years, but later became a partner with Van Pearcy’s Wealth Services Team with Raymond James in 2001. She handles the books, payroll and human resources for their firm. Donna also works to help with human resources and record keeping for Pearcy Angus Ranch. Van & Donna have two children – Erin, their daughter who graduated from TCU and works for an oil & gas company in Austin, and their son, Vance, who graduated from TCU and is working with the Van Pearcy’s Wealth Services Team with Raymond James in Midland, Texas. Charlotte came from a Registered Hereford ranching and wheat farming family In Burkburnett, Texas. She met Jan Pearcy while attending East Texas State University. 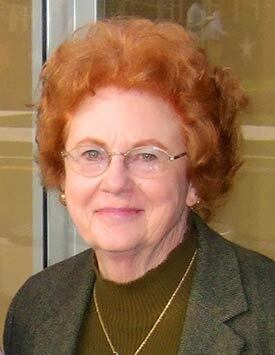 Charlotte graduated from East Texas State with a teaching degree in the late ‘50’s. They married, and moved to West Texas to start their family. Charlotte retired from Andrews, Texas Independent School District in the early ‘90’s as a long time 1st grade teacher. She took over the books and billing of the ranch over 20 years ago. Jan and Charlotte have two sons, Van and Kirk. Kirk works in the oil and gas industry in College Station, Texas.